Since the first Coral shop opened in 1926, Coral has become a high street staple in the United Kingdom. 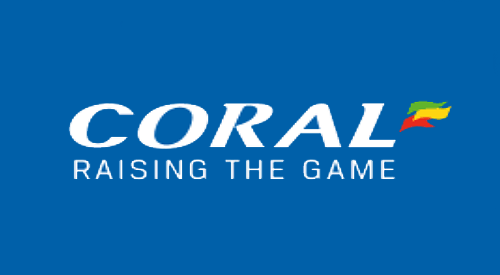 With over 1800 shop locations currently in operation in addition to their online casino, Coral is one of the larger casino operators around, and brings a wealth of experience to their products. The Coral brand is the premier operator of the Gala Coral Group, owners of the Gala and Ladbrokes brands as well. Coral offers online casino, live casino, mobile, bingo, poker, lotto and betting offerings. Gala Coral, after the £2 billion acquisition of Ladbrokes, is heralded as the UK's largest bookmaker. The Coral experience is optimized for ease-of-use, with a breezy sign-up process leading to game play in just minutes. Adding to the ease of use is the impressive array of dedicated mobile applications available to users of all platforms. 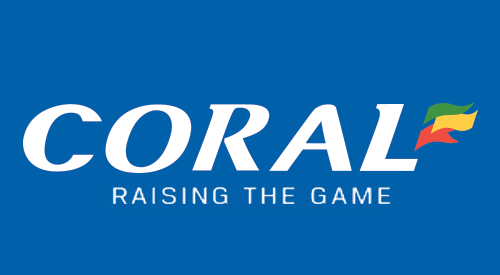 From live casino play to sports betting radio, Coral’s mobile offerings are top of the line. And they all tie to the same main player account, bringing and incredible level of convenience to the proceedings. Coral aims to be a one-stop shop for punters of all stripes, and does so successfully. Whether through traditional browser play or one of their excellent dedicated apps, the ability to go from sportsbook to live games to slots with no drop in quality is remarkable. In terms of their casino offerings, by utilizing games from a number of the top software providers in the industry, Coral is able to boast a truly impressive array of games from one-of-a-kind slot games to modern twists on the old classics as well as companion live-dealer versions. But Coral doesn't stop at just casino products, as their heralded Coral Bingo won 2015 'Bingo Operator of the Year' at the 2016 Gaming Intelligence Awards. Coral Bingo offers Bingo Rooms for a wealth of games including 90, 80, 75, 40, and 50 ball variants - well above the more common two or three choices offered a other elite online bingo sites. 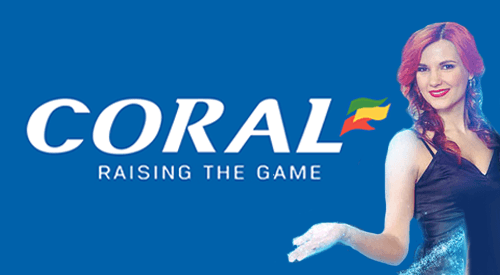 Coral also offers a topnotch betting offering as well as a lottery betting service. Coral Sports offers over 30 markets at any given time while Coral Lotto offers lottery betting on all the top lottery draws in the world. There are over 600 games to play at Coral Casino, from industry-leading suppliers such as Playtech and NetEntertainment. Slots are the most prominent game available at the casino offering but the classic table games and their modern variants make up for quantity with their quality. Coral prides itself on its ability to provide traditional casino games, live dealer games, lottery betting and sports betting all in one easy-to-use location. The site's helpful navigation bar that runs across the top of each page allows for players to seamlessly move from product to product with little trouble. Coral began its life in the world of brick-and-mortar gambling, a world that has since seen the rise of internet gambling. Coral's offline gambling roots shine through as they look to integrate their online and offline products. One way they do this is their 'Connect' section, featured in the top navigation bar. This page connects players with Coral's land-based offerings through shop finders and allows players to join exclusive member clubs for awesome prizes. Minimum Spend £5 Cash on Bingo only, 2x wagering requirement on bingo bonus. Bonus valid for 7 days. This is a Casino bonus. More details about how a Casino Bonus operates can be found in our General Casino Bonus Terms & Conditions. These terms can be accessed HERE. These include important general provisions relating to any applicable Wagering Requirements and to your ability to withdraw any winnings. access your Coral Casino Account (you may need to register with us if you have not played with us before); Stake a minimum of £10 in total on any qualifying Casino or Slot Game (play on the Live Casino will not qualify). See point 9 of these terms and conditions for the list of excluded games. Your account will be credited with the following Bonuses in points 6, 7 and 8 of these terms and conditions. Casino Bonus: £10 Casino Bonus for selected Slots games. Selected Slots: Big Banker, Well Well Well, Money Multiplier, Rainbow Repeater, Rainbow Rewards, Balls Fun Drops, Magpie Mayhem, Wild Cannons, Multropolis. This Casino Bonus must be accepted by you within 48 hours of it becoming available in your Account otherwise it will be forfeited and not reissued. Where you have made a bet of at least £10 on a qualifying slot game, you will only be permitted to withdraw any winnings from the Bonus Balance wallet and the Pending Winnings wallet once you have satisfied the Wagering Requirements. The Wagering Requirements for this Casino Bonus must be met within 30 days following the date on which your Casino Bonus becomes Active otherwise any funds sitting in your Bonus Balance wallet and/or Pending Winnings wallet will be forfeited. z Whilst you can withdraw the funds in your Cash Balance wallet at any time before the necessary Wagering Requirements have been met (whilst your Casino Bonus is Active), this will mean that you fully forfeit any winnings sitting in your Bonus Balance wallet and/or Pending Winnings wallet. Wagering can only be completed on the following slots: Big Banker, Well Well Well, Money Multiplier, Rainbow Repeater, Rainbow Rewards, Balls Fun Drops, Magpie Mayhem, Wild Cannons, Multropolis. “Double Options” on any Qualifying Games will not count towards your Wagering Requirements. A “Double Option” is where you are offered the opportunity to double your winnings on a bet on one or more occasions. This Casino Bonus is not available for use on any Poker, Bingo or Live Casino gameplay. Free Spin Bonus: £10 worth of Free Spins for the following slot only: Top Trumps Football Starts Sporting Legends Slot. Free Spins are worth £0.20 per spin. There is no wagering requirement on the Free Spin Bonus Golden Chip Bonus: £10 worth of Golden Chips for selected Table games. Selected Table games: Premium Blackjack, Blackjack Single Hand, Frankie Dettoris Blackjack, Premium European Roulette. Golden Chips are worth £1 per Golden Chip. There is no wagering requirement on the Golden Chip Bonus. Any bets placed on the following games will not contribute towards qualification for this Welcome Bundle: Ugga Bugga, Vacation Station, Highway Kings, Chinese Kitchen, Darts, Heads or Tails, Spin a Win, Dice Twister, Wheel of Light, Craps, Blackjack Switch, Blackjack Surrender, Pontoon, Legacy of the Wild, Key Bet Roulette, Castle Builder, Baccarat, Rock Paper Scissors, Golden Tour, Funky Monkey, Silver Bullet, Red Dog, heads or tails, Jacks or Better, Deuces Wild (Or Any variant of Video Poker), Joker Poker, Neotunes Kingdom, Rock N Roller. Promoter: LC International Limited. Upon qualification, all bonuses will be credited automatically on qualification. In the event of any technical difficulty, the bonus will be paid by 6pm the following day to qualified customers. Players must use their Casino Bonus/Free Spin Bonus/Golden Chip Bonus within 30 days of it being credited to your account, otherwise it will expire and not be reissued. There is no cash alternative to any Bonuses contained in this Welcome Bundle.. We reserve the right to withdraw this Welcome Bundle from anyone who does not qualify, or is excluded from our offers or promotions under the General Website Terms & Conditions. We reserve the right to change or end any Welcome Bundle at any time, if required for legal and/or regulatory reasons. This Welcome Bundle will remain available to qualifying customers until such time as we choose to withdraw it. The withdrawal of this Welcome Bundle will not impact you if this Welcome Bundle is Active at the time of withdrawal. Please remember, if you have accepted this Welcome Bundle, you will have a specified time limit to complete the applicable Wagering Requirements in accordance with the section headed “Wagering Requirements for this Casino Bonus” above. The General Casino Bonus Terms & Conditions also apply to all of your Active Bonuses and include additional restrictions on your use of this Welcome Bundle. If you are registered in the following countries you are excluded from this Casino Bonus: Albania, Belarus, Czech Republic, Georgia, Hungary, Liechtenstein, Lithuania, Macedonia, Romania, Slovakia, Croatia. For additional promotional terms click here. Promoter: Coral Interactive (Gibraltar) Limited, Suite 711, 1st Floor, Europort, Europort Road, Gibraltar, GX11 1AA.